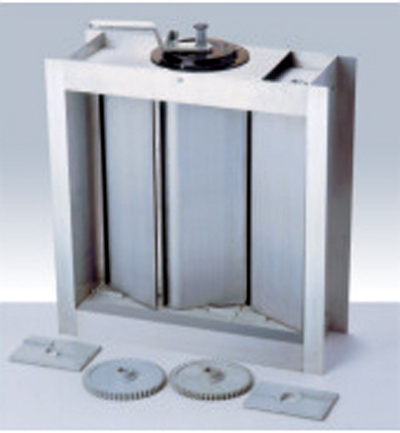 This type of damper is designed to control the volume air flow rate by controlling the flow area by means of the a set of opposed blades. This arrangement will give a free area of more than 94% when fully open , and; less than 6% when fully closed. The dampers are constructed by aluminium extruded section T6 with aerofoil design to reduce noise level. food grade ruber gasket is provided to seal all leaks.